THE OCTOBER 19 GRADUATION IS GOING TO BE HUGE! 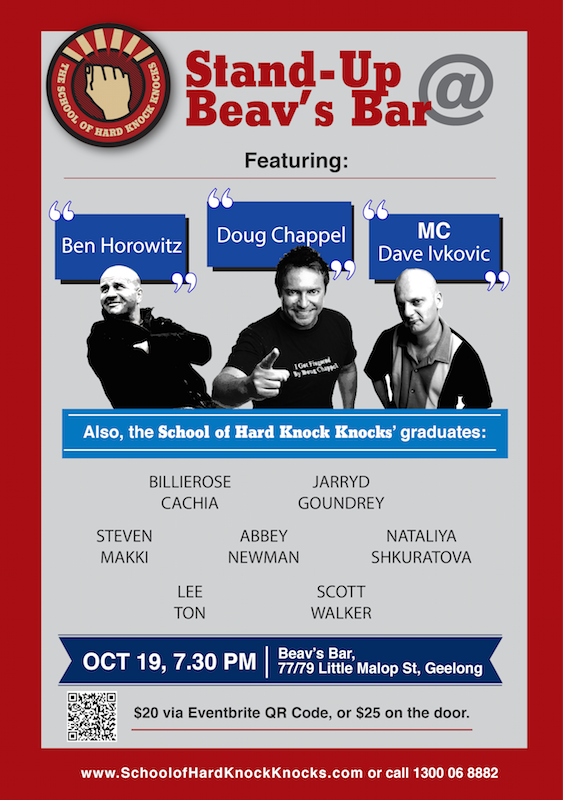 This month’s headliner is Australian veteran, Doug Chappel and our own School of Hard Knock Knocks’ comedy veterans Dave Ivkovic and Ben Horowitz. The School of Hard Knock Knocks’ graduates and selected alumni will also be performing their best 5-minute sets, which means you’ll be the first to witness celebrity comedians of the future! or call 1300 068 882.